G’mornin’, my name is Cowboy, and I’m a 2005 Belgian Tervuren. It’s Saturday. I just ate. It’s time to play. I might take a short nap first, while I guard my favorite toy. 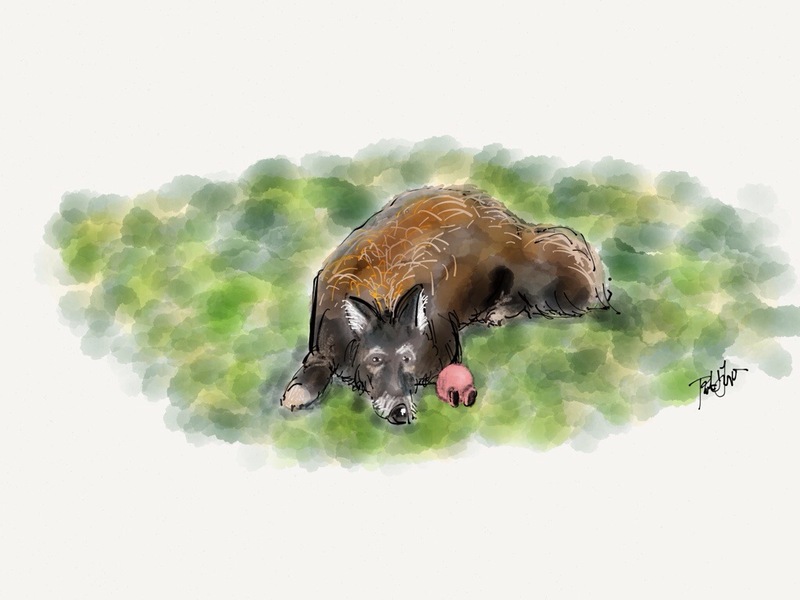 This entry was posted in Digital Artwork, iPad Art, Sketches and tagged Belgian Tervuren, dog, Fifty Three Paper, Paper 53 by portfoliolongo.com. Bookmark the permalink.